The Molecule Viewer app lets you display and manipulate 3-D molecular structures. Import structural information directly from the Protein Data Bank (PDB) database or other supported files. Measure distances and dihedral angles. Display molecular surfaces, such as van der Waals or solvent-accessible surfaces. Select different visualization and color schemes to display a molecule, such as the ribbon or backbone representation. Run RasMol script commands from within the app. MATLAB® Toolstrip: On the Apps tab, under Computational Biology, click the app icon. MATLAB command prompt: Enter molviewer. Display the 3-D structure of an acetylsalicylic acid (aspirin) molecule. molviewer opens the Molecule Viewer app. 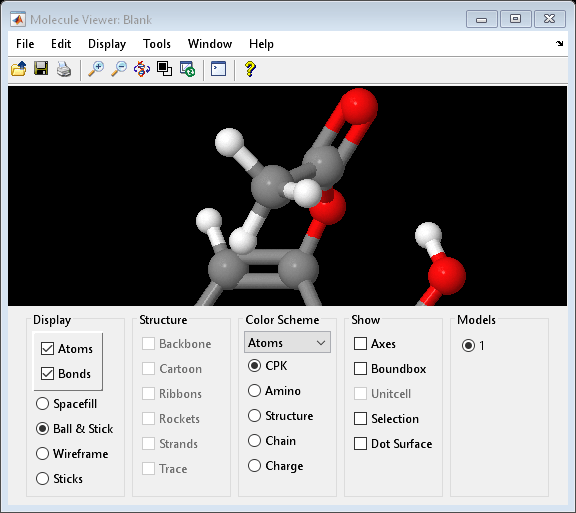 molviewer(file) reads the structural information from file and shows the 3-D molecular structure in the Molecule Viewer app. 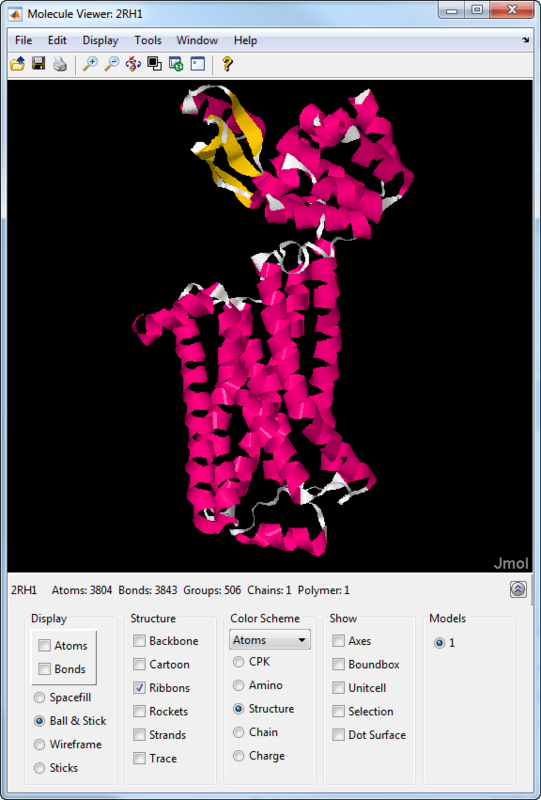 molviewer(pdbID) retrieves the structural data for a protein from the PDB database using its pdbID and shows the 3-D molecular structure in the Molecule Viewer app.